When working at heights is an everyday necessity for your business or project, you need an innovative solution that is safe, reliable, and easy to use. 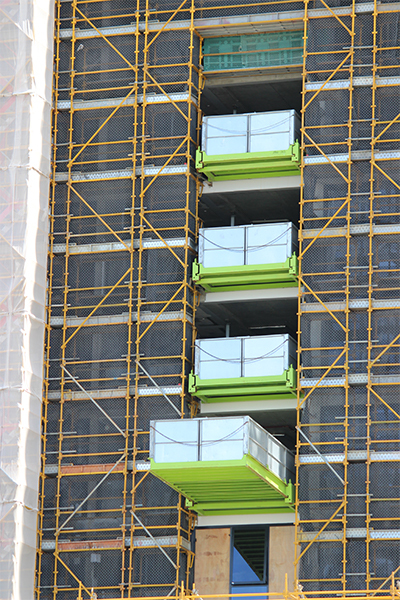 Our CRANE DECKS provide a cost-effective and flexible answer to all of these and many other issues that are unique to providing access to personnel and materials in high-rise working environments. Our system lends itself well to situations involving crane hire facilities, on-going construction projects, plant maintenance and many other applications. Our product represents a superb system that is cost effective and uncompromising in both quality and safety. It has been thoughtfully designed by a team that understands the demands of working at heights with CRANE DECKS platforms and other access equipment systems. Flexibility with 4 standard widths provides accessibility for a range of situations, with a maximum outboard of 5250mm.